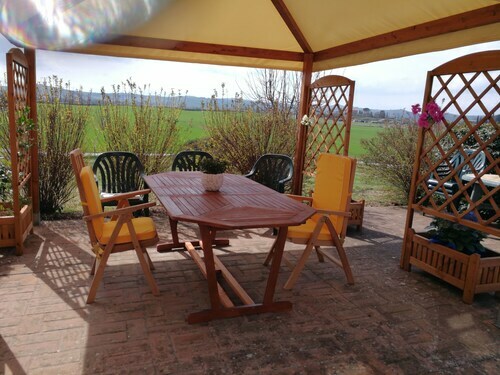 This family-friendly Chianciano Terme property is located in a rural location, within 1 mi (2 km) of Val di Chiana, Piazza Italia, and Piscine Termali Theia. Chianciano Art Museum and Terme di Chianciano are also within 2 mi (3 km). 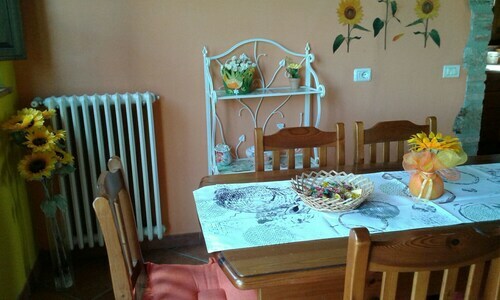 Situated in a rural location, this historic cottage is 1 mi (1.5 km) from Garden of Daniel Spoerri and within 6 mi (10 km) of Mount Amiata Fauna Park and Castle Arcidosso. 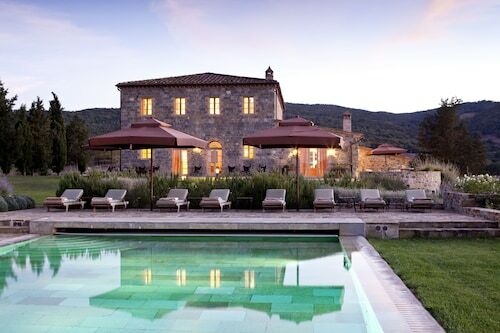 Monte Amiata and Parco Piscine Capenti Outdoor Pool are also within 12 mi (20 km). Situated in Asciano, this cottage is 2.1 mi (3.3 km) from Crete Senesi and 3.1 mi (4.9 km) from Museo dell'Antica Grancia e dell'Olio. Pieve Romanica di San Vittore Church and San Giovanni Terme Rapolano are also within 9 mi (15 km). 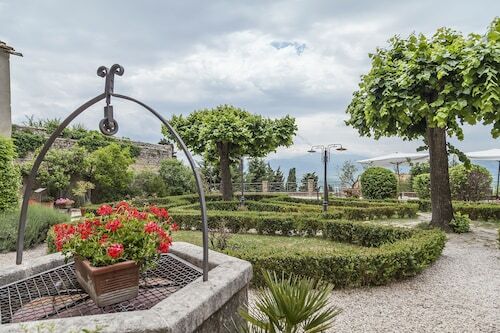 Situated in a rural location, this property is 1.6 mi (2.5 km) from Val di Merse and within 6 mi (10 km) of Terme Petriolo and Castello di Montepescini. Abbey of San Lorenzo al Lanzo and Castello del Belagaio are also within 9 mi (15 km). 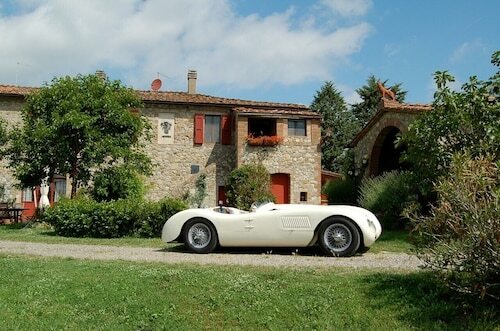 Situated in a rural location, this historic property is 0.1 mi (0.1 km) from Val di Merse and 4.2 mi (6.7 km) from Castello di Montepescini. Museo della Mezzadria and Museum of Sacred Art in Val d’Arbia are also within 16 mi (25 km). 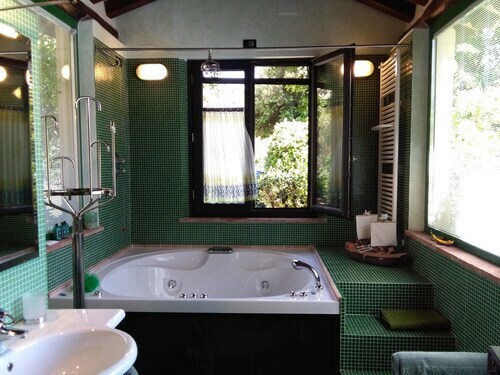 Located in the heart of San Casciano dei Bagni, this historic property is 0.1 mi (0.1 km) from Val di Chiana and 8.5 mi (13.7 km) from Rocca di Radicofani. Baths of San Filippo and Archaeological Museum of Sarteano are also within 16 mi (25 km). 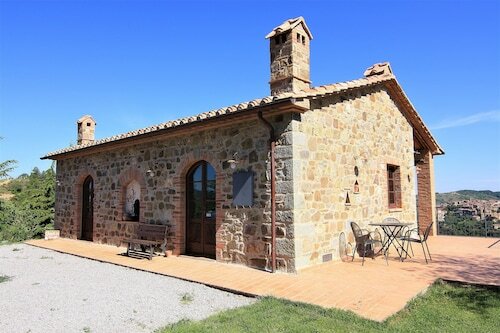 Situated in Castiglione d'Orcia, this property is within 9 mi (15 km) of Fortress of Tentennano, Baths of San Filippo, and Piazza delle Sorgenti. Garden of Daniel Spoerri and Abbazia di Sant'Antimo are also within 9 mi (15 km). 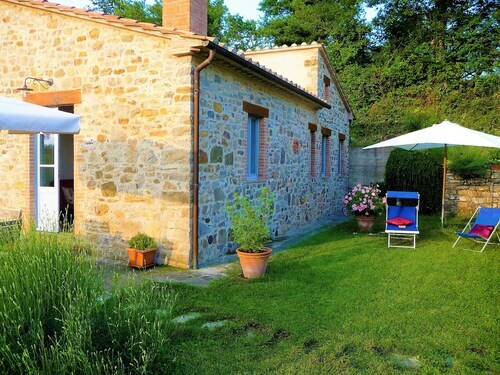 Situated in a rural location, this romantic property is 0.1 mi (0.1 km) from Val di Chiana and 7.8 mi (12.5 km) from Rocca di Radicofani. Baths of San Filippo and Archaeological Museum of Sarteano are also within 16 mi (25 km). Dreaming of a getaway that’s reminiscent of a fairytale? 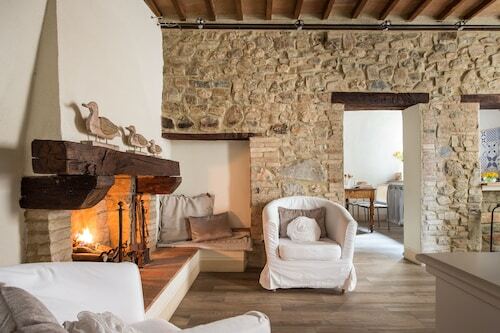 Travelocity doesn’t have magic wands or talking animals in our inventory—at least, none that we can find—but we do have holiday cottages in Castelnuovo dell'Abate that will make you feel like you’ve stepped inside your vacation dreams. The word “cottage” may make you think of whitewashed walls, flower print curtains, and sprawling views of rolling green hills—lucky for you, we do offer tons of country cottages that were furnished with a rustic feel in mind. Appreciate the vase of daffodils on your dining room table, and peek out the window onto the private patio that surrounds yours and other rustic cottages in the area. 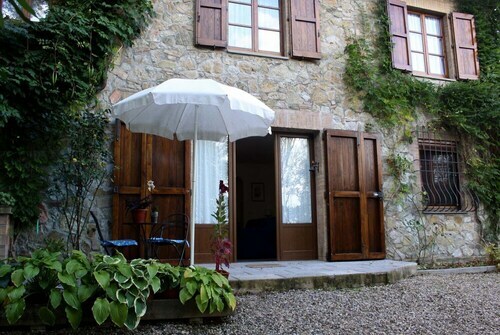 These charming “home away from homes” have long been a beacon for those who love the outdoors, so pick a spot peppered with hiking trails and spend lazy afternoons meandering through the gorgeous scenery Castelnuovo dell'Abate is known for. Snap some pictures while you’re at it—you’ll want to remember sunset over this waterfall for the rest of your life. When the sun goes down, cuddle up in front of a cheerful fire, or head into town to explore the shops, restaurants, and art galleries that have sprung up over the years. Ah, it’s nice to return to civilization every once in a while, isn’t it?